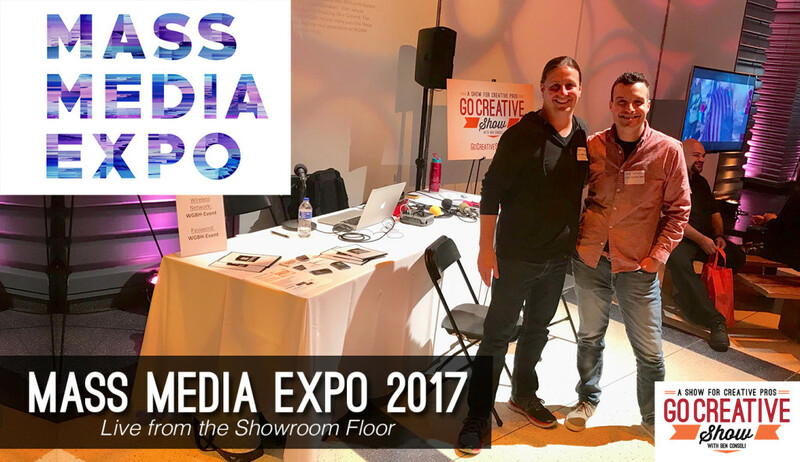 The Go Creative Show returns to the Mass Media Expo to interview speakers, panelists and participants live from the showroom floor. Mass Media Expo is New England’s Largest Media Conversation, bringing together filmmakers, producers, creative professionals and allied businesses to collaborate, share experiences and have a blast. The Go Creative Show was there conducting interviews live from the showroom floor, speaking to leaders in all areas of production. Filmmaking, post production, audio mixing, visual effects, casting, and much much more.